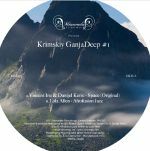 Review: The Manuscript mission rolls on unabated as the Ukranian label pairs long lost deep house gems with more contemporary productions. Slam Mode's "Morning Side Dr" is a gorgeous cut laden with plush synth tones to melt the hardest of dancers, while Dennis DeSantis' "Leisure" feeds touches of EBM into a mellow, dubby construction that spans styles with ease. 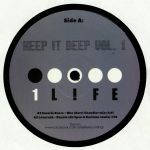 Label boss Vincent Inc joins up with Jon Da Silva for "Thinkin About U", which Questionmarq turns into a delightfully quirky remix before Sasha Makin and Suntetic round the EP off with the epic "Drumatik". Review: AntiDEEPressant is here to bring some positivity to your life by way of subliminal house music from the outer reaches. 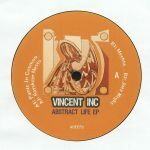 Vincent Inc is just the ticket to help deliver the good news, and his Abstract Life EP is loaded with soul-enriching vibes to get you through times of hardship. "Panic In Cosmos" is a fluttering, meditative melter that will coat your ears in honey on the way down, while "Rayskoye Mesto" takes an equally submerged approach that drifts further away from conventional beats into a beautifully executed, heavy-lidded excursion. 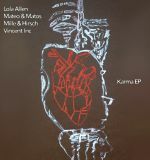 "Mechta" sports a few more conventional house tropes, but keeps things varied and interesting just the same, and then "Jazz Night" rounds the EP off with some cracked piano lilt and soul infusions to cradle you on the way to the run out groove.